.... MC works because Lewis was a master at two rhetorical arts, which he combined fluently: argument and depiction. Indeed, his friend Austin Farrer emphasized the latter as his chief talent, and Lewis himself spoke, not only of creating Narnia in terms of "seeing pictures in his head," but of his entire writing career in this way. In the last months of his life, he explained to a friend why he was no longer generating new work. He was ill, but he was not old: only in his mid-60s. The situation was simple, he said: "The pictures have stopped." Despite Lewis's protestations that he was not a theologian and his profession was a scholar of literature, it must be remembered that his first training was in philosophy and that he evidently took a subsequent degree (and a job) in literature only when he failed to obtain a position in philosophy. Thus we happily find a keen philosophical mind in harness with a lively literary mind—and a literary mind both critical and creative, which is another unusual combination. .... I was an atheist and I came to faith when I came to Oxford. And I think the thing that really drew me to faith was a realization that Christianity made sense of things. It was an intellectual conversion. 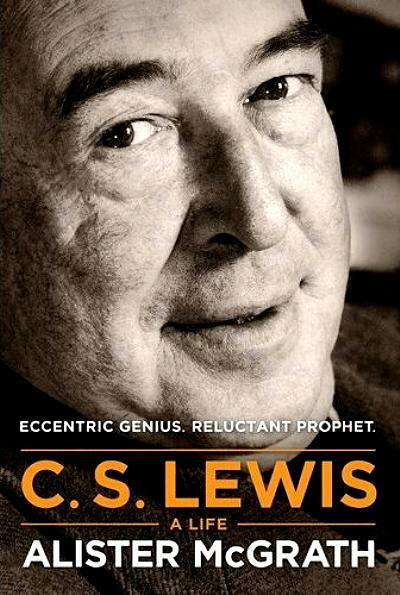 And when I read Lewis for the first couple of times I welcomed him as an exponent of rational apologetics. He reinforced my sense that Christianity really does make sense of things. But as I read him I realized there was a lot more than that: a lot about the imagination and a lot about experience, longing, yearning, and that didn’t really make much sense to me. But actually, as I grew older, my vision of the Christian faith began to expand. Now, here is what I don’t know. Was it that by reading Lewis that my vision of Christianity expanded? Or was it that my vision of Christianity was expanding and I found in Lewis someone who spoke to me at multiple levels?. And you know it could be a bit of both. Lewis is a great dialogue partner. What I found was that Lewis really was a writer who helped me deepen my vision of the Christian faith. And because apologetics is very, very important to me Lewis actually gave me lots of new ideas of how I could defend Christianity. I found him very, very stimulating. WV: What do you think is Lewis’ best book? WV: What is Lewis’ major contribution as an intellectual, as a writer? And what one lesson do you take away from his life?